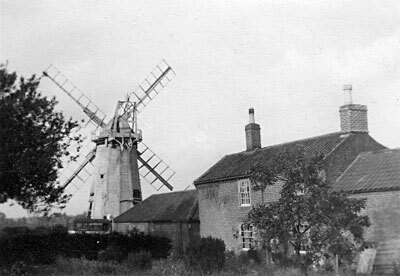 Claxton smockmill stood to the northeast of the village street.The mill had a 12 sided horizontally boarded tower built over a single storey 19 foot high brick base. The boat shaped cap had a petticoat, a gallery and a 6 bladed fan. The mill was powered by two pairs of double shuttered patent sails, one pair having 8 bays of 3 shutters and the other 7 bays of 3 shutters. Striking was via a chain pole. An auxiliary steam engine had been brought in by 1875 and appeared to still be in operation until c.1933 when it was replaced by an oil engine that was eventually used in preference to wind power by 1937. Norwich Bankruptcy Court, Wednesday (18 Feb.) before Mr. Registrar Cooke. Frederick George Graham Chapman, residing at Claxton and carrying on business at Claxton & Ashby St. Mary, miller & carrier. Gross liabilities £1136.4s.1d., expected to rank £404.12s.9d. deficiency £356.6s.3d. Debtor said he first started business in 1891 with a capital of £700 a gift from his mother. He opened an account with Messrs. Barclay for about £690 & from it he bought the Claxton mill from his uncle for £700 paying £300 and allowing £400 to remain on mortgage. That mortgage was still in existence, but was vested in another person. The stock & materials he bought at a valuation of £156. 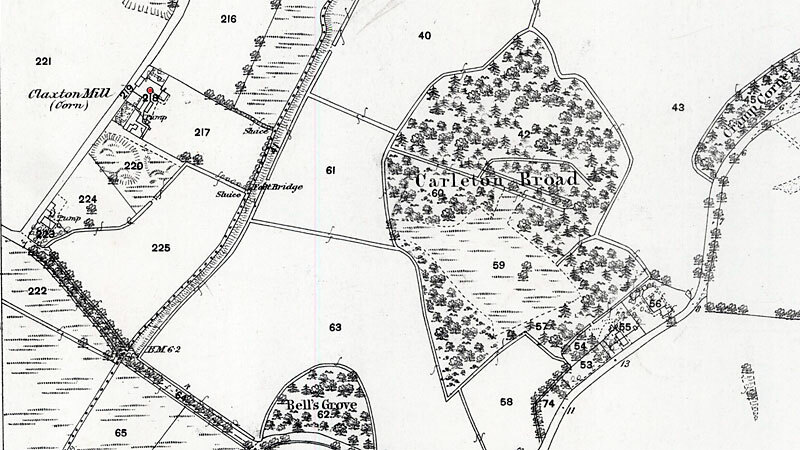 The business went very well for a time and in October 1893 he purchased another mill at Ashby St. Mary for £300. the whole of that money he obtained on mortgage. Asked why he bought the second mill, debtor replied, ‘Because I was silly, I suppose.’ (Laughter) He had thought that his son would have stayed at home and managed the mill, but he went to Canada. After he had a mill a year or two, it was found necessary to put in a new oil engine and that cost £120. He worked the two mills and for a few years did fairly well. About four years ago, however, he began to get into difficulties. In February 1909 he was served with a writ by Mr. Marston_of_Bungay for £39. The money was paid by Messrs. Woods,_Sadd,_Moore_&_Co., two houses being given as security. Two years later he borrowed a further amount from the same people and gave them a charge on his carrier’s van. He had taken up a carrier’s business because his other business was not paying. His banking account was closed about four years ago. He had a life policy with the Prudential, but it is now in the possession of the firm that had advanced it. Whitbread issued a writ against him. He consulted his solicitors and afterwards obtained £10 from a creditor and filed his petition. He attributed his insolvency to bad trade, but as a matter of fact it was due to his having Ashby mill and to farmers commencing to grind their own corn. The furniture belonged to his wife, it having been given to her by her father. 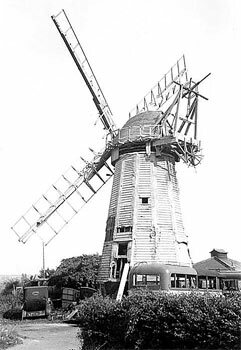 Albert Arthur Culling snr last used the windmill in 1938-39 and his son Albert Arthur Culling jnr took over the oil powered mill in 1947. 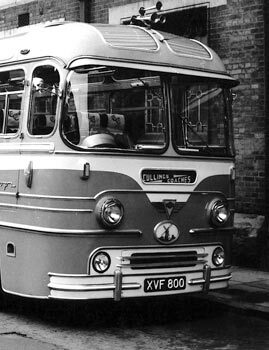 He also ran Mill Garage on the same site from where he operated the firm Culling & Son (Norwich) Ltd. - Coach Hire & Road Haulage Contractors. The premises were eventually sold by the family in 1971. In September 1934 (when the photo at the top of the page was taken) the Culling's coach fleet consisted of three vehicles. Having studied the photo, I am convinced that the bus is either CL9937 a Graham Dodge or NG1039 a Commer, the third vehicle being much smaller. These vehicles remaining until 1936. 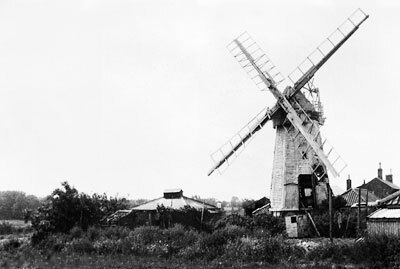 A sketch of the Mill, taken from the photo was displayed on the Culling's vehicles and became quite a famous logo. I was a friend of the late Mr. A. A. Culling and visited Mill Garage many times as a boy. However, being born in 1942 and the Mill being demolished in 1945, I am able to recall the premises as a bus and haulage yard, and sadly never saw the Mill. Albert Arthur Culling jnr was my great grandfather on my grandmothers side, her maiden name was Margaret Culling. She married Stanley Gooch and they lived in Thorpe St Andrew, Norwich. As a small boy my father David Gooch used to play in the mill sometimes at weekends.